Prerequisites: Must bring proof to class that puppy has had two distemper/parvo vaccinations. Puppy must be 10 to 16 weeks at start of class. About Puppy One: The experiences your puppy has during the first 16 weeks of life, known as the “socialization window,” will lay the foundation for his future behavior. 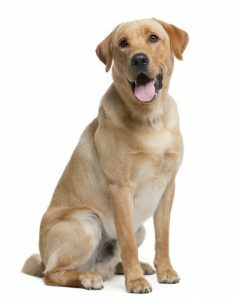 During this period, you must positively and gently introduce your puppy to a variety of people, dogs, places, sounds, and situations if you want him to develop into a friendly, well-adjusted adult dog. To this end, socialization and enrichment techniques are offered every week. Your puppies will have off-leash playtime to develop good dog-to-dog social skills and to learn bite inhibition (the ability to control the force of their bite). This class also introduces basics such as sit, down, stay, come, leave it, and leash manners. Additional topics covered are: house-training, alone-training, chew-training, biting, and body handling to get your puppy comfortable visiting the vet and groomer. This course also offers the opportunity for your puppy to earn their very first AKC recognition: AKC STAR Puppy! Prerequisites: Completion of Puppy One or equivalent. Bring proof of current vaccinations to first class. Must have stayed social and friendly and around dogs and people. About Puppy Two: This is the next step as your puppy develops into an adolescent—a challenging time when early training often seems to wane. Sometimes your puppy responds to commands he knows well, sometimes he acts like you don’t exist. This class will refine and strengthen the behaviors learned in Puppy 1, with special emphasis on how to motivate your dog for quicker responses to your commands, better recalls, and stays with distractions. 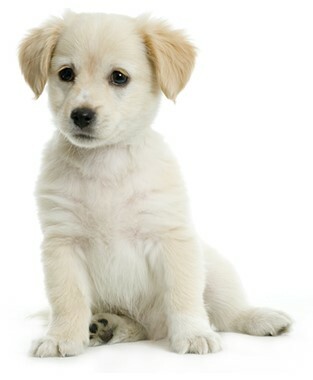 Also: go to your mat, better walking manners, distance commands, and games to strengthen your puppy’s existing skills. This class will take your dog’s knowledge to the next level and prepare you for higher levels of training to come! For: Puppies that have not attended Puppy One and Two classes and are over 4 months up to 9 months of age at the start of class. Prerequisites: Bring proof of current vaccinations to first class. Your older puppy must be friendly to dogs and people. About Obedience for the Family Puppy Class: This class covers basic obedience skills such as sit, down, come when called, heeling, attention, wait at the door, go to your bed and stay, with special attention on the challenges of young adolescent dogs, including impulse control, bite inhibition and other puppy issues. 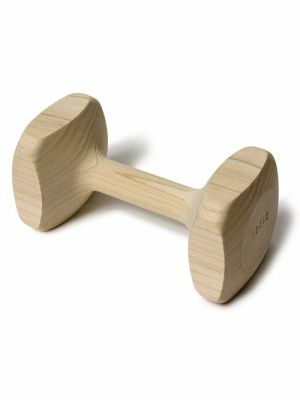 For: Dogs ages 6 months and over at the start of class. About Beginner Obedience for the Family Pet: This is a class for dogs over 6 months old who need to learn heeling, automatic sits, downs, stays, recalls, attention and other necessary exercises. Problems will be discussed and help given. For: Dog/handler teams seeking to earn the AKC Canine Good Citizen (CGC) Award. Prerequisites: Most dogs need at least two training classes before entering the Canine Good Citizen Course; 3 classes are preferable. See the class descriptions for Puppy One/Two, Obedience for the Family Puppy, Beginner Obedience for the Family Pet, and Intermediate Training for the Family Pet. About Canine Good Citizen: Dogs do not need to be registered with AKC to take the course and receive the award. Dogs should be fairly reliable with basic commands at the start of the course: Sit, Down, Walk/Heel, Stay. Class work will focus on refining these skills to be reliable over the 7 weeks leading up to the CGC test on Week 8. For: Handlers who wish to prepare dogs for an AKC Beginner Novice (BN) title. About Beginner Novice Obedience: A BN is the first level of obedience titles. Dog/handler teams will learn to read and follow posted directions while heeling a pattern. A Sit For Exam (on leash) and a Sit-Stay and Recall (both off-leash) will be taught. For: Handlers who wish to prepare dogs for an AKC Companion Dog (CD) title. About Novice Obedience: This course will include footwork during heeling, correct handling and motivational techniques for dog/handler teams. In addition to heeling on leash, dogs will heel off leash, do a Stand for Exam and a Recall (both off-leash). Group Stays (Sit and Down) are also included with other dogs. For: Handlers who wish to prepare dogs for an AKC Companion Dog Excellent (CDX) title. Prerequisites: Entry into this class is at the discretion of the instructor. About Open Obedience: This is a class for those who are proficient in all obedience exercises, who have completed their CD title and are ready to move into the Open ring, and who want to introduce their dogs to jumping and retrieving. For: Handlers who wish to prepare dogs for an AKC Utility Dog (UD) title. About Utility Obedience: This is a class for those who are proficient in all exercises off leash and who wish to introduce their dogs to scent articles, signal exercises, and directed jumping: and for those proceeding from the Open ring to Utility ring. This class is a workshop with limited instruction. About Rally Novice: All work is done on leash. Dog and handler learn to read and follow directions on posted signs while walking a course. Satisfactory completion should enable the team to earn an AKC Rally Novice (RN) title. For: Those who have completed the RN title and are ready to move into Rally Advanced. 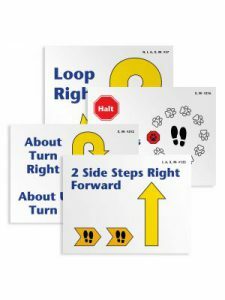 About Rally Advanced/Excellent: Additional “signs” are taught at each level. All work is done off-leash and jumping is added. Satisfactory completion of a RA title is followed by learning additional signs in order to compete at the Rally Excellent (RE) level. Prerequisites: Completion of a family pet, family puppy, CGC or higher level of class. About FUN-damentals: FUN-damentals will present fun ways to connect, challenge, and train your dog. For: Dog and people friendly dogs that have completed 2 levels (or more) of basic classes. Prerequisites: Completion of a level 2 basic class. Proof of current vaccinations. Dogs must not be leash aggressive or reactive with people or dogs and must be able to work with owner off leash. About Tricks: Teaching your dog tricks is a fun and entertaining way to an even smarter, more focused pet and you will both have a blast showing off tricks! You’ll learn a variety of tricks, including: spin, twirl, tunnel, weave pole, shake hands, high five, sit pretty, roll over, take a bow, play dead, crawl, kiss, ring a bell and more! Your dog will love this class and so will you! You and your dog will have the opportunity to earn AKC Novice, Intermediate, Advanced and Performer titles.